Better Breed Cameroon has finally announced the winners of this year’s Sama Randy Youth Write Contest (SRYWC). After several weeks of reading, grading and screening for plagiarism, the Better Breed Cameroon team and its panel of seasoned judges have released the top three winners of this year’s prizes, plus one surprise honorarium (a prize which wasn’t initially considered during the publication of the contest). Better Breed disclosed the information through a Press Release on its website on March 10, 2018. It took several weeks of deliberations among Mr. Fonsho Collins, Ms. Helen Nde and Mr. Mbutoh Divine as judges to settle on the best essay. According to the organizers of the contest, Njie Martha Eyole, a final-year student in the University of Buea’s Department of Bilingual Letters is the First-Prize Winner of this year’s competition. Martha Eyole shall, therefore, receive the sum of FCFA 100.000 in cash, plus a job opportunity with Makonjo Media. Meanwhile, Anita Ngwe Chofor currently pursuing a Higher National Diploma (HND) program in Marketing at ISEM-IBCG, Douala won the Second-Prize. She will be receiving a FCFA 50.000 cash prize from Better Breed Cameroon. Considering how tight the competition was, Better Breed Cameroon will be offering a surprise honorarium prize. 19-year-old Ambomatei Miranda will receive this prize worth FCFA 15.000 as she occupies the third position in the runners-up. The Better Breed Cameroon team, therefore, congratulates this year’s winners who will be receiving their awards at a ceremony scheduled to take place at Makonjo Media office on March 16, 2018. Meanwhile, Better Breed Cameroon will publish the First-Prize-Winning essay on their website for public appreciation. The Sama Randy Youth Write Contest is an annual essay writing competition organized by the philanthropic organization, Better Breed Cameroon. Named in memory of pioneer Better Breed member Sama Randy, this competition seeks to encourage youth engagement in national discourses. In the manner of an annual routine, Better Breed in collaboration with Makonjo Media decided to launch the 4th edition of the SRYWC to reward outstanding writers. Makonjo Media is a Silicon Mountain-based marketing and growth technology firm with processes, tools, and techniques needed to automate and scale customer growth & revenues of businesses in Africa. Known for its expertise in leveraging ICTs to grow businesses, Makonjo Media offers services ranging from web/app development to marketing. As a strong supporter of millennial talent, the Silicon Mountain IT firm was happy to support the 2018 SRYWC. 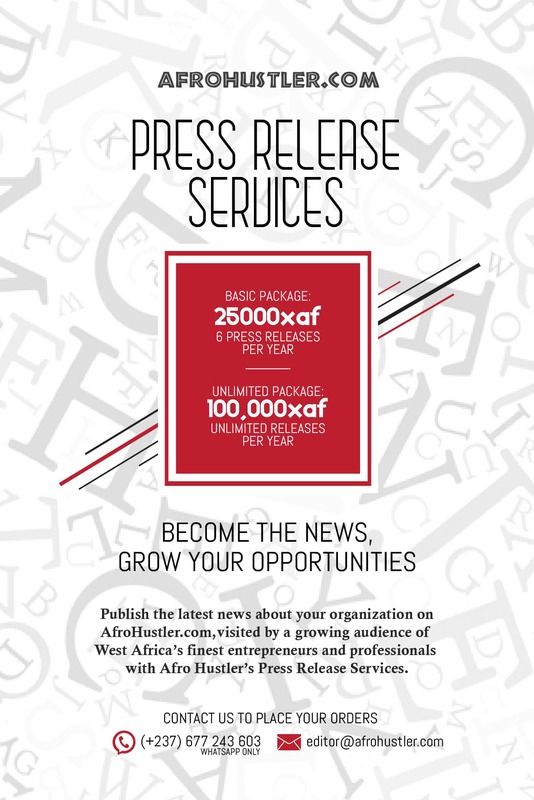 Makonjo Media opted to cover the first prize worth FCFA 100.000. The company also promised to offer the grand winner a job opportunity with Makonjo Media. Afro Hustler says, Congratulations to all the winners of this year’s contest.